After a long and drawn-out battle between ESPN and Fox for Manning's broadcast serves, the former quarterback reportedly won't join either network. After fielding offers from both ESPN and Fox that reportedly would have made him one of the best paid analysts in sports media, Peyton Manning has decided to join… neither network. According to the New York Post’s Andrew Marchand, Manning has turned down a chance to be the game analyst on Fox’s new Thursday Night Football package. Marchand reported earlier this month that Manning had also rejected ESPN’s offer to make him the analyst on its Monday Night Football series. Now that it’s over, the frenzied competition for Manning’s broadcasting services seems to have been a massive waste of time and energy for all involved. Over the past six weeks or so, both ESPN and Fox have made known their interest in Manning, reportedly offering him $10 million a year. 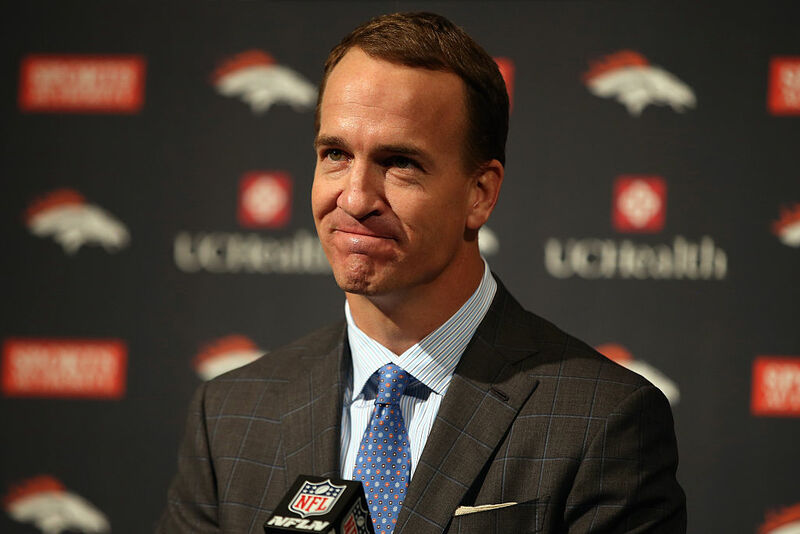 But over that entire time, as we (and plenty of others) speculated on where Manning would best fit, there was one problem: the former quarterback never actually expressed much interest, at least publicly, in becoming a broadcaster. Now that Manning is no longer an option, ESPN and Fox can focus elsewhere in filling their vacancies. Per Marchand, Fox lacked an obvious Plan B but has already auditioned Joe Thomas, Jason Witten, and Carson Palmer and plans to consider Greg Olsen and NFL Network’s Kurt Warner as well. Having just picked up Thursday Night Football in January, the network also needs a play-by-play voice for the package and reportedly has interest in borrowing NBC’s Mike Tirico from NBC for that role. ESPN, meanwhile, is in the process of revamping its Monday Night Football booth after Jon Gruden left to coach the Raiders and Sean McDonough was reassigned to college football. McDonough has been officially replaced by Joe Tessitore, but Gruden’s spot remains open. Potential candidates for that role reportedly include Warner, Olsen, Matt Hasselbeck, Randy Moss, and Louis Riddick. Marchand has mentioned several times that Brett Favre could be a dark-horse candidate, if ESPN wants to make a high-profile splash. For a while, it seemed that ESPN and especially Fox were waiting on Manning before filling out their respective booths. With Manning off the board, they can move forward with their decisions and we can return to writing about people other than No. 18.